Whether I'd like to admit it or not, I'm already at that age where it is no longer surprising to see my friends getting engaged. I don't know about you, but as a fashion lover, I find that picking the perfect engagement ring is so important! Not only does it have to be meaningful, the quality has to be top-notch as well as you will possibly be wearing it for the rest of your life. For those of you who are looking to get a diamond engagement ring, you should read this article! popularity can be attributed to the style, brilliance and even the perceived meaning of the stone. Unfortunately, all the diamonds in the modern jewellery market are not the same in quality and value. Consequently, the process of finding the best ring for your future wife can be stressful and scary. You can make the buying experience more enjoyable and stress-free by choosing a trusted diamond dealer like Diamondport. Here are the primary markers of a good diamond jeweller that you should look for when purchasing your ring. The aesthetics and value of the engagement ring will be determined by the quality of the diamond stones set in the band. Therefore, you should be diligent in inquiring about the types of gemstones that the jeweller can provide. The quality of diamond is judged using four parameters, so you should inquire about and understand the stone options based on these attributes. - Carat: The carat of a diamond is essentially the weight, and in direct relation, the size of the stone. In normal metric measurements, a carat is about two hundred milligram. Larger diamonds are rarer, so their cost will be higher. - Clarity: The clarity refers to the number of blemishes in the stone. Some diamonds are flawless while others might have some minor inclusions. - Colour: There are often colour distinctions in diamonds though only knowledgeable jewellers can notice it. The colourless stones are the most valuable but rare. - Cut: The cut refers to the shape and design, craftsmanship and general face up appearance. A good jeweller will have a range of good quality diamonds with these varying characteristics to accommodate your preferences and budget. You should inquire about the types of metals that are available for engagement ring bands. The choice will determine the general appeal and brilliance of the entire piece. The most common precious metals that are used for engagement rings include white gold, platinum, rose gold and yellow gold. A quality jewellery expert will have these options and advice you on the best choice for your selected diamond stone. Finally, you should check the reputation of the jewellery shop before engaging them to help you in the ring selection. This aspect is normally linked to the customer service that is given during the purchase process. Moreover, the response of brides to the appeal of the engagement ring will play a role in the general public opinion. 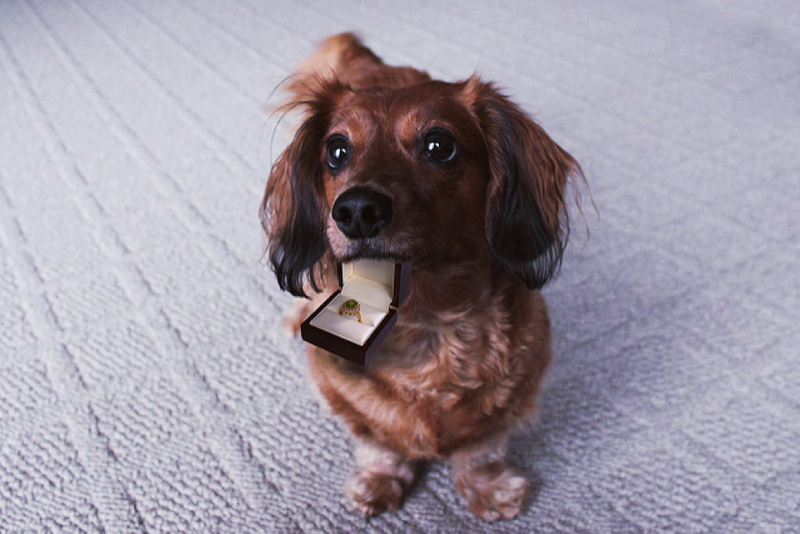 The guidance that will be provided will determine whether you will have one of the most over-the-top proposal stories or your bride-to-be will be frustrated. Choose a jewellery seller who values their clients and will provide undivided attention during your selection. You will find information on company reputation through testimonials and local reviews.